Non-stick frying pans are a great convenience in the kitchen. It is such a joy when you don’t have to scrub your pan endlessly after a cooking session. Also, with a non-stick surface, you can use less oil which means healthier meals. 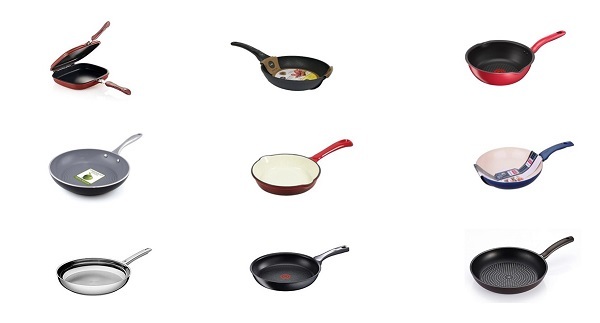 With so many different brands out there offering non-stick frying pans, it can be hard to decide which one to get. No worries, we’re here to help – here are the best non-stick frying pans you can buy in Singapore right now! Happy Call from Korea is one of the most popular cookware brands in Singapore for the past few years. The Happy Call Diamond Frying Pan is yet another excellent product that has found thousands of happy users in Singapore alone. The excellent non-stick surface of this frying pan stands out immediately. It has a diamond coating that conducts heat up to 5 times better than copper surfaces. Additionally, the non-stick surface is made to last. Users have commented that their frying pan is still as good as new after years of use. Also, Happy Call non-stick pans do not contain potentially harming chemicals that some other non-stick materials have. You can cook almost anything on this amazing frying pan with fantastic results. From a creamy batch of scrambled eggs to deep frying a batch of chicken wings, it’s a breeze with the Happy Call Diamond Frying Pan. Click here to check the latest price for the Happy Call Diamond Frying Pan on Lazada today! The unique design of the Happy Call Double Sided Fry Pan makes cooking quicker and easier. With an enclosed top, you will experience less oil splattering and smoke while cooking. It will keep your home clean – especially if you have an open concept kitchen which is very popular these days. You don’t even a spatula to flip whatever it is you’re cooking. All you have to do if turn the pan over and that is it. 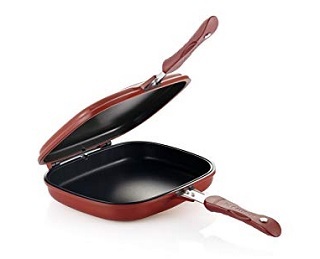 Both sides of the pan are non-stick so you won’t need much oil and cleanup is quick also. If you are new to the kitchen, this Happy Call frying pan will make look like a professional. As pressure builds inside the pan, your food will also get done faster so you can spend less time cooking and more time enjoying the food. This frying pan is a must-have even if you have a regular non-stick pan. Click here to check the latest price for the Happy Call Double Sided Frying Pan on Lazada today! The GreenPan Siena Skillet is one of the top choices if you want a non-stick pan without Teflon. Its non-stick surface is made of Thermolon which is a ceramic material made from sand. As such, it contains natural materials and doesn’t have potentially harmful substances like lead, cadmium, PFAS or PFOA. Thermolon has high heat-resistance that goes up to 450 degrees celsius so even if you overheat your pan, it won’t release toxic fumes. If safety is your biggest concern, then it’s clear that a ceramic pan is the way to go. Cooking on the GreenPan is also faster than traditional frying pans. Thermolon is great at conducting heat which means more of the heat from the flames will reach the ingredients in the pan. It also means that your food will cook more evenly as the heat reaches every surface area of the frying pan. The GreenPan will be an excellent choice if you are looking for the Teflon alternative that works well on every stove type, including induction stoves. 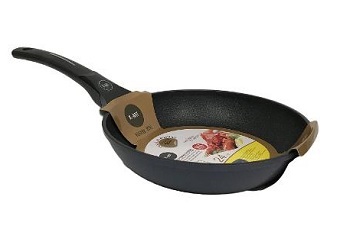 Click here to check the latest price for the GreenPan Siena Skillet on Lazada today! Large pans for a waste of space, especially if you are only cooking for one or two people. Thankfully there are smaller pans like the WMF Mini Frying Pan which is as good as its bigger counterparts. It is made with the famed WMF Cromargan material that is solid, easy to wash and even dishwasher-friendly. Additionally, it has a TransTherm universal underside that makes it suitable for all types of hobs including induction ones. If you want a small but high-quality pan, get the WMF Mini. Click here to check the latest price for the WMF Mini Frying Pan on Lazada today! Made in Korea, the K-ART Titanium Wok Pan is a hugely popular choice not just in Singapore but all around the world as well. 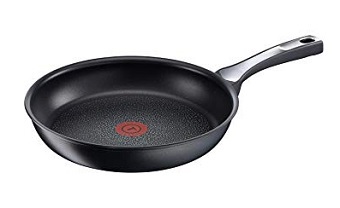 Its main selling point is its excellent non-stick surface that is coated not just once, but 5 times over. The 5 coatings include a heat-resistant paint coating, aluminium diecasting, primer coating, mid coating and finally a top coating. What this adds up to is a frying pan that retains its non-stick coating for a long time. You won’t need to replace it anytime soon if you get this pan. Click here to check the latest price for the K-Art Titanium Wok Pan on Qoo10 today! The Tefal Expertise Frying Pan is one of the top contenders for best non-stick surfaces. Its non-stick surface is known for its long-lasting and durable effect. The top coating of the surface is reinforced with Titanium to make it last up to 3 times as long as before. According to their tests, this technology enables the pan to last for up to 12 years even with daily cooking. That is certainly impressive! Tefal’s iconic ThermoSpot is also present in this frying pan. The ThermoSpot lets you know when your pan is hot enough for you to put in your ingredients. This feature is not only useful for beginners but is generally helpful even for experienced cooks. 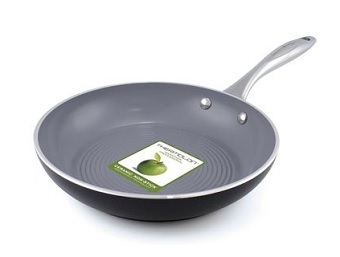 Furthermore, this versatile frying pan can be used on all kinds of stoves including induction stovetops! 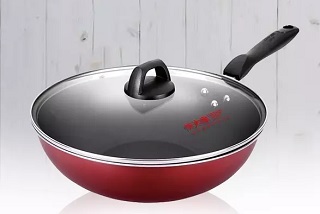 Click here to check the latest price for the Tefal Expertise Frying Pan on Lazada today! 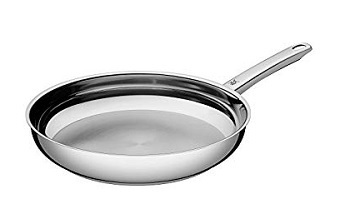 The Tefal Pure Chef Plus Frypan has a clear advantage over shallower pans – you’ll find it hard to spill anything on of it, even with intense cooking. That makes both cooking and cleanup much easier. Additionally, its deep interior makes it suitable for cooking stews and soup; making it extremely versatile. It also comes with the ThermoSpot that Tefal is famed for, along with its signature non-stick surface. If you want a deep non-stick pan, definitely check this frying pan out! Click here to check the latest price for the Tefal Pure Chef Plus Deep Frypan on Lazada today! 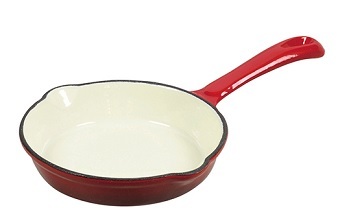 The Pearl Life Rouge Enamel Pan is one of the more affordable types of iron cast pans. It is not exactly a non-stick surface but works pretty well even with less oil. As such, it has some properties of a non-stick surface without the additional coating which is sometimes bad for health. As a pan with iron casting, it is great at heat transfer which makes the process of cooking much faster. It is a pan that can do almost anything. You can use it on any stove you have whether it is gas, induction and even the oven. Click here to check the latest price for the Pearl Life Rouge Enamel Pan on Lazada today! Keep your kitchen smoke-free with this Cooker King Stainless Steel Non-Stick Pan! It is made with 7 layers of top-quality stainless steel. Its non-stick surface is effective in ensuring nothing sticks to the pan even when you use only a few drops of oil. We also like that there is almost no smoke even when cooking at high temperature. That means a cleaner kitchen and less cleanup. It even comes with a lid which is great value-for-money given its affordable price tag. 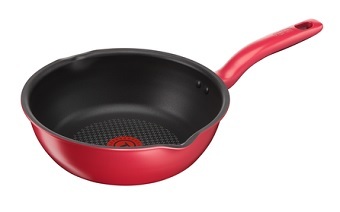 Click here to check the latest price for the Cooker King Non-Stick Pan on Lazada today! The Lamart Eco Ceramic is a top seller in Europe and is known for their great non-stick ceramic surface. It rivals any other non-stick surfaces like Teflon but with a ceramic coating, it is deemed to be a safer option. It does not contain substances like PFOA, PTFE and stays safe even when it is accidentally overheated. Regardless of what stove you are using at home, it will work well with anything, even induction stoves. 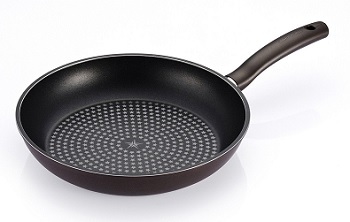 If you are looking for a quality ceramic frying pan – get the Lamart Eco Ceramic Wok. 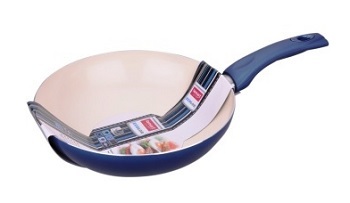 Click here to check the latest price for the Lamart Eco Ceramic Wok on Lazada today! You may be interested in these articles!